Why should you host international games? By international, I mean games where participants are from more than 40 countries like the Olympics, FIFA World Cup, Asian Games , (our infamous) Commonwealth Games etc. These games are under the lens of camera and whole world watches this event for 20 odd days. What next? What will happen to those massive stadia built which are now empty, the outstanding payables and the unaccounted social costs (corruption, bribes, and unaccounted financial costs). The advocates of hosting games will say long terms benefits will justify these costs. Look at number, A report by UBS Investment Research (from February 2010) estimated that preparation for the FIFA World Cup – which commenced four years ago – has added between 0.5% and 2.2% to South African GDP (depending on which infrastructure projects one considers); and overall had created in excess of 300,000 jobs since 2006 – a 2.7% contribution to employment figures. UBS research also indicated that the three previous World Cup hosting-countries saw their GDP grow by 1.8% on average during the year of the tournament – although determining how much of the growth was associated with the tournament itself is very difficult to ascertain and likely falls well below this number. Back to India, if you see the preparation, spending and development of infrastructure is confined to host city, Delhi. So the idea of entire country benefitting from these games is abysmal. 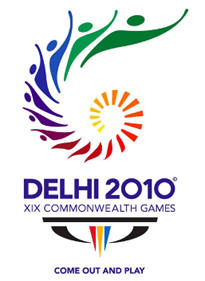 A report of the Chief Vigilance Commission (CVC) points to corruption at every level in the organization of the games. The CVC report says that almost all organizations executing infrastructure works for Commonwealth Games have flouted rules in tenders and increased their prices. This means contractors have been paid more than what is the right price. The question is being asked to us: Do you want games or stop corruption? I really don’t have answer to this. In a nutshell, the benefits and disadvantages of holding major sporting events have few clear answers – aside from the positive psychological boost it may provide for local inhabitants. India, however, can arguably reap benefits – both financial and in terms of international goodwill – by making certain the International games present the country as safe, peaceful, modernized and a viable target of foreign investment. Want to use Rupee Symbol ( Rs. ) on your Webpage – Here is how ! Throughout the whole India ,it has become an alarming topic about the benefits that we can raise via commonwealth games.But is it actually benefiting the Indian inmates or the pockets of political stalwarts?????!!!!! facts are facts and does not dissappear on account of your likes… the bridge which collapsed and boxer’s bed which broke into a thousand pieces cannot be forgotten at any cost. they are not a poet’s imagination or an author’ s speculation but are true facts. it is outrageous and a matter of deep shame!!! I am for the Games. The fact of the matter is that with every such effort that our sarkar and prashasan makes towards modernisation, Indian systems of governance are being “cleaned” of historical baggage. I mean, had it not been for the Games we would not have been able to spot the corrupt among us. Now we can! The bar of ‘transparancy’ and ‘performance’ is being raised every time! Oh yes, there are serious embarrassments and even losses Indian citizens will have to face. Yet, it is my belief that the experiences will goad Indian government and administration – from now on – to perform better. On GDP, I do agree that while it will increase at an aggregate level the benefits may not be distributed across our society. India’s unique problem is unequal distribution of its wealth. I feel sorry that besides Delhi other cities/ regions are not in a position to benefit from the Games. I do not think the GDP increase is going to help because of the massive expenditure. The most important factor is the mood of the nation. What do they feel? I think they are disconnected. Commonwealth games is a sad reminder India being a British colony. Moreover the popularity of the commonwealth games is questionable. Have you ever watched the commonwealth competition before this year? Have the TVs covered the games before? The popularity of the commonwealth games is very questionable. And people have better things to do than spend a lot of money on such little known ventures. How can you forget the numerous opportunities all the corrupt organizing committee people get to enhance their bank accounts. Though it may favor a very tiny percentage of the population, it surely does.